Basically, the Angels are terrible. Specifically, their bullpen. 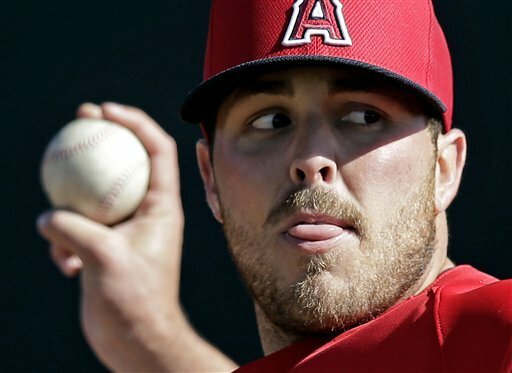 The Angels had a 4-2 lead heading into the eighth inning on Thursday night. The super tall Dane De La Rosa (who?) gives up two runs and the game is tied 4-4. Mike Scoscisocisocisociacoiaosicsa brings in Michael Kohn to face Paul Konerko with Adam Dunn on first and one out. 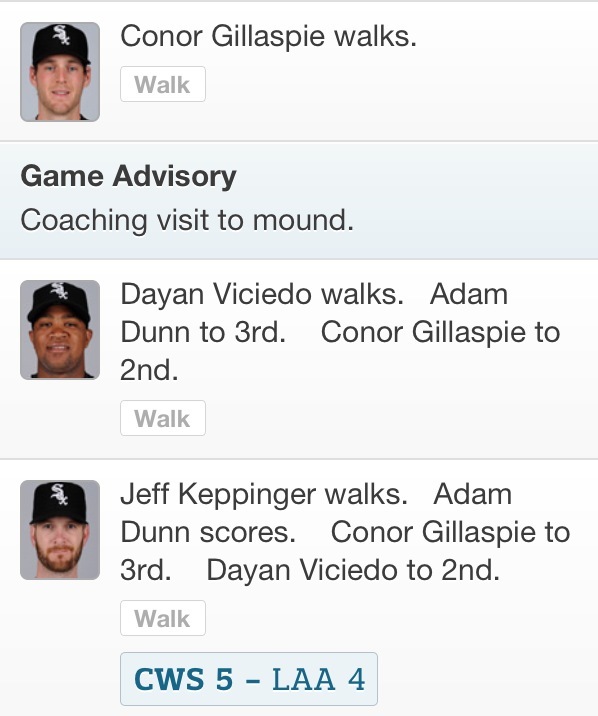 Kohn gets Konerko to ground out, and Dunn advances to second base. Michael Kohn: Killer of dreams, loser of baseball games. Ben Lindbergh wrote a more complete write up of this tragedy over at Baseball Prospectus. Jeff Sullivan also had an inspirational summary of Jeff’s accomplishments earlier last week at FanGraphs. Jeff Keppinger walked once yesterday, bringing his total to 2 over 151 plate appearances. Jeff Keppinger has a wRC+ of 4. The next lowest among qualified hitters is Danny Espinosa at 27. How are those three young catchers doing that we checked up on last week? Well, not one of them walked once last week. So as of today, J.P. Arencibia, Welington Castillo and Salvador Perez have now walked SIX TIMES through 430 plate appearances. Arencibia specifically has walked twice in 155 plate appearances. Prince Fielder has walked 30 times in 155 plate appearances. Endy Chavez, Luis Cruz, Mark Ellis, Erick Aybar, Luis Jimenez, and Chris Heisey have combined for TEN WALKS through 484 plate appearances. Through a combined 847 plate appearances, Wilin Rosario, Starlin Castro, Yadier Molina, Adam Jones and Carlos Beltran have walked 37 times. That’s the same number times Joey Votto has walked in 207 plate appearances. Have a good Monday, everybody. This entry was posted in #analysis, ALL The .gifs, Randomness and tagged angels, finally, jeff keppinger, jp arencibia, michael kohn, salvador perez, walks, welington castillo, White Sox. Great blog you have here but I was curious about if you knew of any forums that cover the same topics discussed here? I’d really like to be a part of online community where I can get feedback from other experienced people that share the same interest. If you have any suggestions, please let me know. Thanks!